Trusted by Customers Across 30 countries. AWS, Google, Akamai for Servers + CDN. 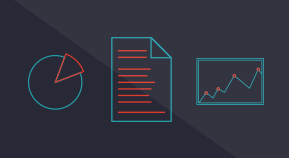 Transcoding, Analytics, Ads, API, Dashboard, Plugins, Custom workflow. Customisable player with ads, subtitles, speed change, forward/rewind options. Option for viewer to download secure in android app & play offline. What is HLS Streaming ? HLS Streaming ( HTTP Live Streaming) is a streaming protocol used for video content across desktop and mobile devices. HLS is developed by Apple, which forms the biggest use case for the streaming protocol. Beyond Apple there is wide support for HLS streaming across Android devices and browsers. Indeed, HLS can be used as a streaming protocol for all major browsers, including Chrome and Firefox. In HLS Encryption the video files are encrypted using a secure AES-128 algorithm. The AES-128 is the only publicly available security algorithm that is used by the NSA for encrypting its top-secret classified information. 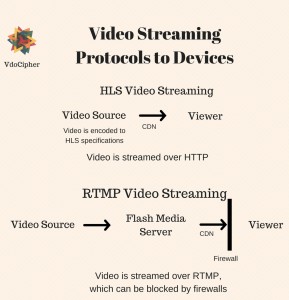 HLS streaming and HLS Encryption can be used for both the cases of live streaming and for Video on Demand streaming (VOD). Because video streaming is over HTTPS, there is no need for a streaming server, unlike RTMP, which requires its own streaming server. How & Why Apple Developed HLS Streaming ? Until about 2010, Flash was the most popular video streaming application. It was supported by all desktop browsers. Because Flash utilized the same runtime across all browsers, it meant that video streamers did not have to create separate workflows for different devices. DRM and encryption were also supported by Flash. Flash was however plagued by security issues. Video playback on Flash was processor-intensive, which caused mobile batteries to drain very fast. For these reasons Apple did not support Flash in the iPhone and in iPad, instead including support for native HTML5 playback. Apple created its own specifications for video streaming, which could be used for both live streaming and for pre-recorded video streaming. Android OS followed suit by blocking flash playback from browsers on Android. From the introduction of the smartphone to the emergence of MPEG-DASH around 2015, Apple’s HLS streaming has been the most widely used protocol. Because of Apple’s continued support for the protocol, encoding for HLS player is an integral element of any video streaming provider’s workflow. How does HLS streaming work? In plain vanilla HTML5 video streaming, only a single video file is available for streaming. The download of the complete video file is initiated every time the stream is played. Even if a viewer watches only 2 minutes of a 30 minute video, the full video would be downloaded, causing data wastage at both the server and the user end. Streaming protocols remove this inefficiency in video streaming. 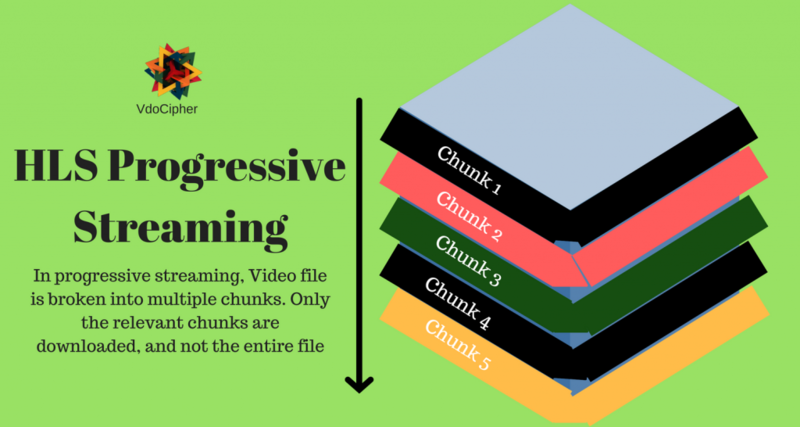 Streaming protocols such as HLS effectively break down a video file into multiple chunks when streaming, and these video files are downloaded over HTTP in succession. HLS streaming uses the same workflow for both live and for on-demand content.The core idea in multi-bitrate streaming is that multiple renditions of each video, of varying resolution, are encoded. High resolution videos are delivered to large screen devices having high network bandwidth, whereas lower resolution videos are encoded for mobile phones. Encoding for low resolutions also ensures continuous video streaming when the network connection speed drops. When the user decides to change video resolution, or when the network bandwidth changes, video streams can be manually (or automatically) switched. HLS video streams are encoded using the H.264 standard, which can be played across all devices. Each of the video copies is broken into multiple chunks having the .ts (transport stream) extension. There is a main index file, called the manifest file (.m3u8 file format), associated with the video stream. 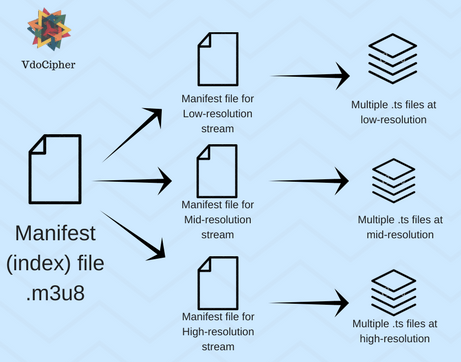 The main manifest file contains links to the specific manifest files associated with each unique video stream. Each of these specific manifest files in its place directs the video stream to the correct URL for video playback when streams are switched. This ensures that stream switching is seamless.This process of manifest file referring to the video stream is the same for both live video streaming and for on-demand video streaming. The only difference for live video is simply that the video files are being encoded in real-time. Streaming over HTTP has many advantages over using a separate server. For example firewalls which may be used to block ports used for RTMP are unlikely to affect video streaming over HTTP. No additional cost are required for streaming over HTTP server. What is HLS Encryption ? Is HLS Encryption effectively secure against piracy ? HLS AES-128 encryption refers to video streams using HLS streaming protocol wherein the video files are encrypted using the AES-128 algorithms. The key exchange happens through the secure HTTPS protocol. If done in a rudimentary way the key for decryption can be seen from the network console by accessing the manifest file. A poor implementation of HLS encryption would result in plugins automatically finding the key and decrypting the HLS encrypted stream, rendering video security ineffective. Implementations for this vary widely, and are quite difficult by themselves. This method for protecting HLS content may also cause compatibility issues on devices. If done properly however it is definitely a major improvement in video security. If the authentication cookie is verified, the CDN looks at the authentication cookie’s policy statement. The policy statement determines if the access request is valid. For example the policy statement could include the beginning and end time for cookie validity. For further information on authentication cookies for content protection you can have a look at Amazon Cloudfront’s documentation. If the signed URL is verified, the CDN looks at the signed URL’s policy statement. The policy statement determines if the access request is valid. For example the policy statement could include the beginning and end time for the signed URL. For protecting content, this period of validity of URL should be short – as little as a few minutes is optimal. For this you can create dynamic URLs, that change every few minutes. For further information on signed URLs for content protection you can have a look at Amazon Cloudfront’s documentation. All these 3 steps make the video stream considerably immune to direct download through plugins. However these methods are still breakable by already available codes and tech hacks. How is DRM level security for HLS Encryption possible ? DRM requires that the key exchange and licensing mechanism is highly secure and is always out of reach of external tools and hackers. A DRM technology also has additional elements. It delivers a license file, which also specifies the usage rights of the viewer. Usage rights specify the conditions in which the video playback is allowed. Implementation of these usage rights ensures that the signed key used for decryption can only be used for playback on the viewer’s device. The key would simply fail to decrypt the video stream if the video file is copied to any other device. Limiting the device or screen on which the video can be played. 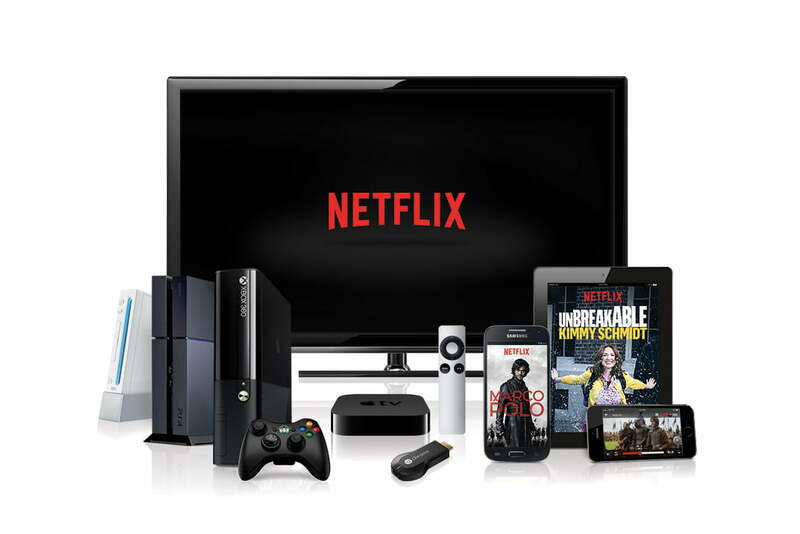 For example usage rights can be used to restrict users to cast their video playback on an external device such as a Smart TV. The license database is also bound to the user’s device, which means that if shared the license and decryption key becomes redundant. Licenses are also signed with the digital signature, which means that they cannot be tampered with either during transit over HTTP or when stored locally on the device. Implementing DRM along with HLS streaming entails considerable modification of the HLS Encryption infrastructure. 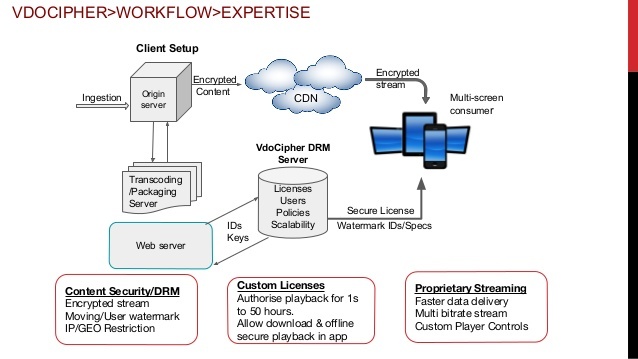 At VdoCipher, we have been able to do that and provide a full fledged proprietary + HLS DRM. We cannot technically say that we are streaming a HLS encrypted stream as it is highly modified. We use combination of other technologies based on different platforms and are able to roll out a cross-device, cross-browser compatible DRM. The content can be uploaded through Dashboard or APIs. Upload from desktop, FTP, Drop Box, Box, URL, Server all are supported. Videos are converted into encrypted files, and multiple qualities & versions for ensuring delivery of quality content at all devices, browsers and all connection speeds. The encrypted content is stored at our AWS S3 servers and raw videos are never exposed. 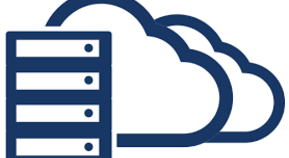 We have setup our custom EC2 instances for the encoding pipeline, and the resultant files are hosted securely on AWS S3 servers. There is private communication between our API & the client website. This ensures that its not possible for hackers to decrypt our streams. The One Time encryption that we use is theoretically and practically hack-proof . The website embedding the video content requests a One-time password from the VdoCipher web server using the API. This OTP request is made only after the user is authenticated. The VdoCipher API returns the OTP, which is used to render the embed code. This embed code is valid for a single playback session only. Along with the key a usage policy is specified, ensuring that only a logged-in and authenticated user is allowed to playback the encrypted video. The video would simply fail to play if an external plugin or downloader is used to try to access the video file.We have timely modifications to our licensing and authentication mechanism to keep security updated. Watermarking -Video licensing and playback are combined to generate customisable viewer specific watermarks. The watermark can be IP address, Email ID and User ID shown in customisable colour & transparency to identify a playback session by the viewer. Through this 6-step Video Hosting, Encryption and Streaming process, VdoCipher is able to provide a progressive high security video streaming with future buffer possible. This is also different from RTMP which does not maintain any buffer and can be quite erratic as a result. You can signup for a free full version trial at VdoCipher.